Place tomatoes in boiled water and close with a lid. Keep it aside for 10 Minutes. Then take off the tomatoes and let it cool for 5mins under fan. Now peel off the outer skin and cut into small pieces. 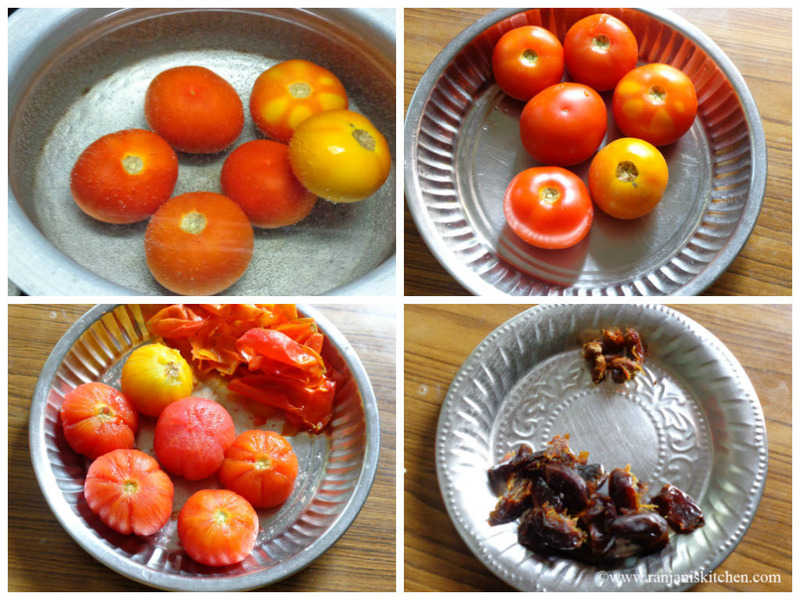 Take off the seeds from dates and blend both tomato and dates together in a blender or in mixer. Heat a strong bottomed pan,pour ½ tsp of ghee in it . Add the grinded mixture and stir continuously without sticking at the bottom. Then add sugar and mix well. Finally add the remaining ghee and stir till it reaches glossy and non sticking consistency. Turn off the flame and fill this in glass bottle or air tight container while it is hot. If you want more sweetness, adjust the sugar level. 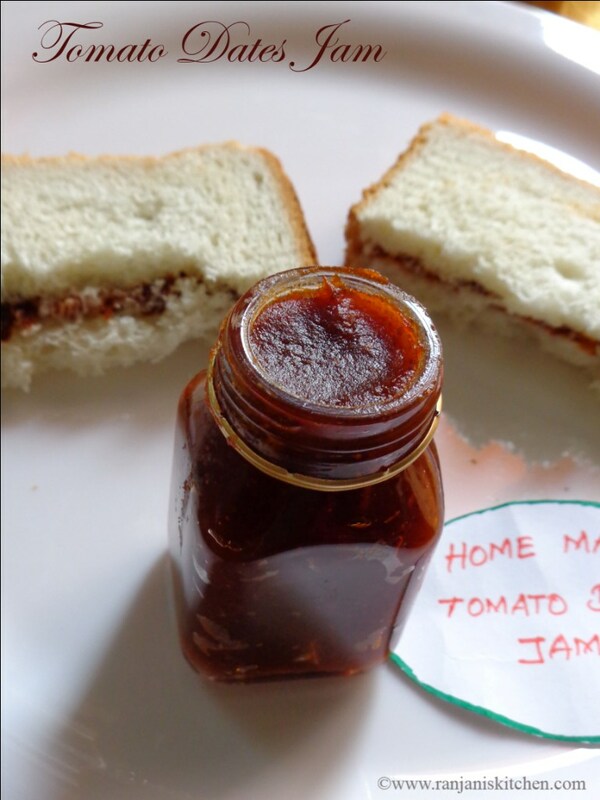 Fill the jam in bottle while it is hot itself. It will be tough to fill if it becomes thick. 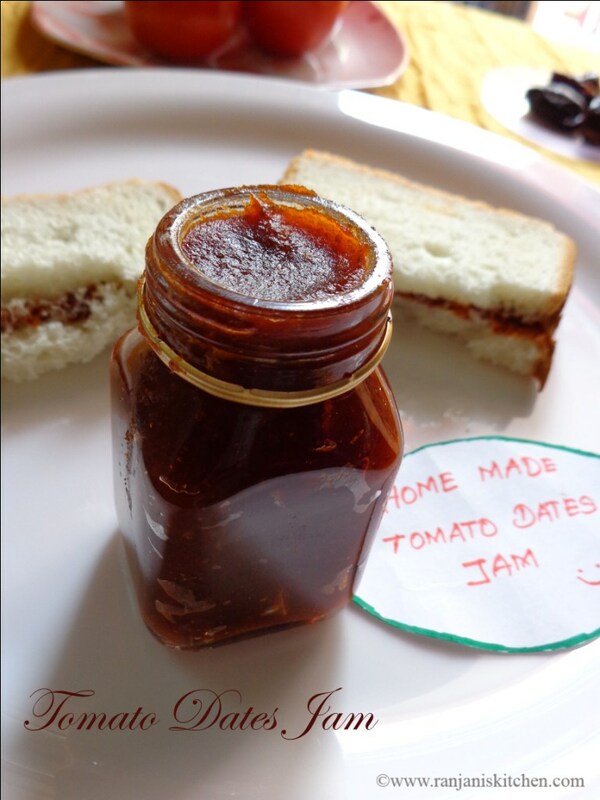 Wow…… Looks super healthy and tasty jam. Love the first click! !